I fight for every client, and make the police uphold the burden of proof. When dismissal isn’t an option, my clients get alternatives to jail such as rehabilitation, counseling, or community service. I earned my reputation by treating every client with respect, no matter the charges against them. I uphold that reputation by taking the fight to the prosecution. When you hire me you hire a fearless criminal defense attorney who can’t be bullied in court. I’ve studied DUI law and police procedure so I can get justice for my clients. Call me today and I’ll get to work for you! 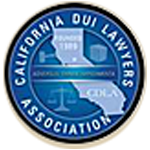 I am the only Specialist Member of the California DUI Lawyers Association in Sacramento County. Contributing editor to the California Criminal Law & Procedure and California Drunk Driving Law. Call THE Sacramento DUI Attorney!